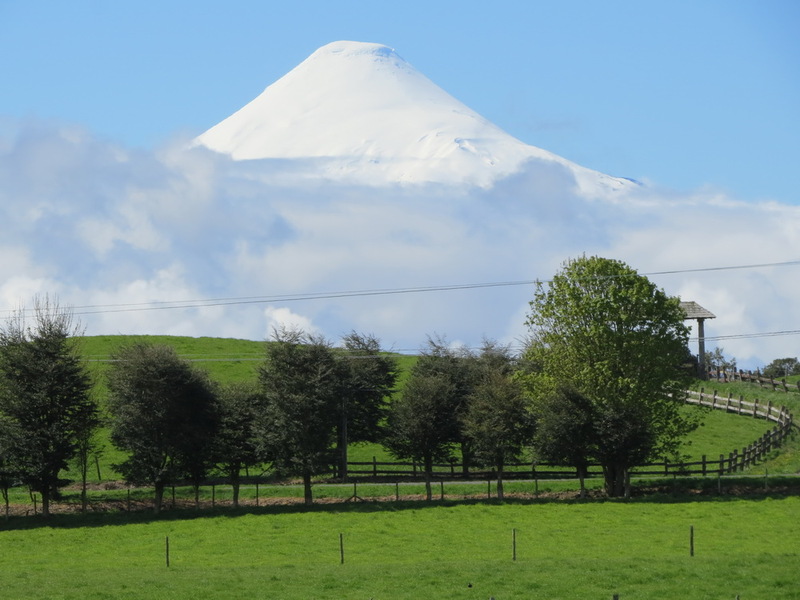 The property is set in a landscape of extraordinary beauty, surrounded by pasture land and woods with a spectacular view to Osorno Volcano. 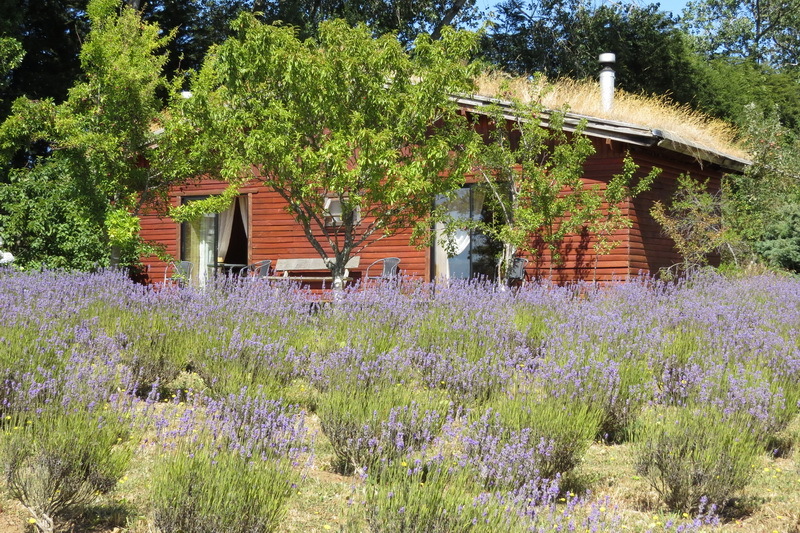 On the property are 4 buildings surrounded by beautiful gardens with los of lavender: It is runned actually as a familiarB&B and can accommodate 21 guests. 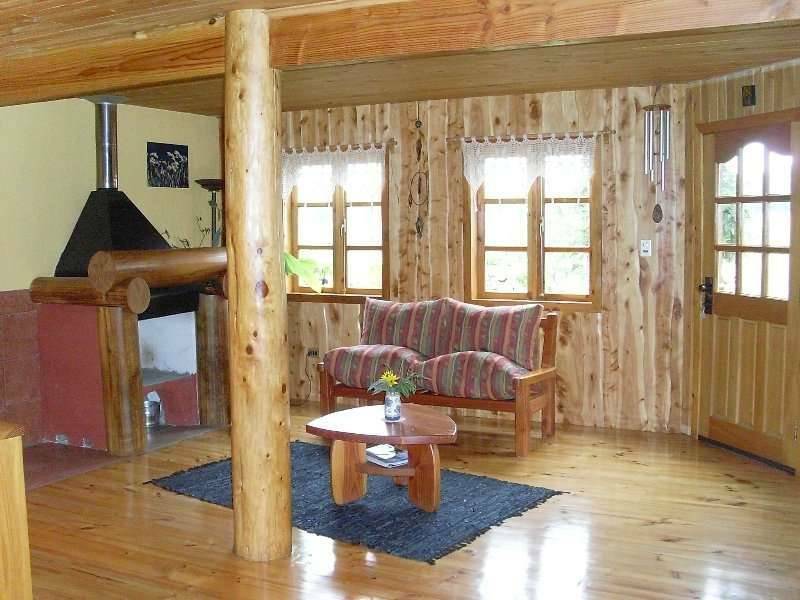 The main house is a two story wooden house built in 1998 with about 180 sqm living space. 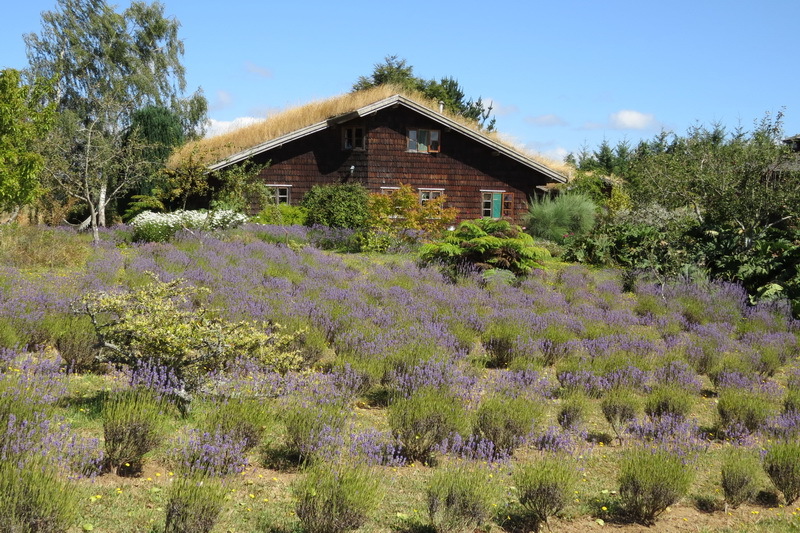 Swiss chalet style with alerce shingles and grass roof. Rustic-modern interior with wood such as laurel, cipres, douglas fir and pine, with love to details. Open living space in the centre of the house with dinning area and kitchen. There is a traditional woodstove for cooking and heating in the centre. There are 4 rooms and 2 bath rooms on the first floor and 3 rooms on the second floor. Sundeck on the east side and view to Osorno Volcano. 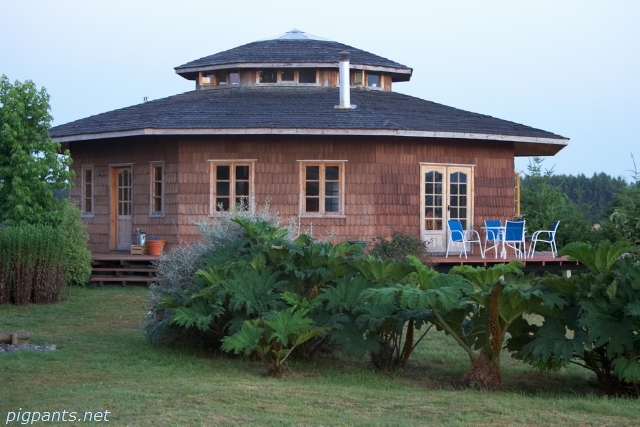 The second house and restaurant is an octagon shaped building, with 139 sqm living space, there is a large dinning room and a big kitchen, two bath rooms and on the second floor a original bed room. 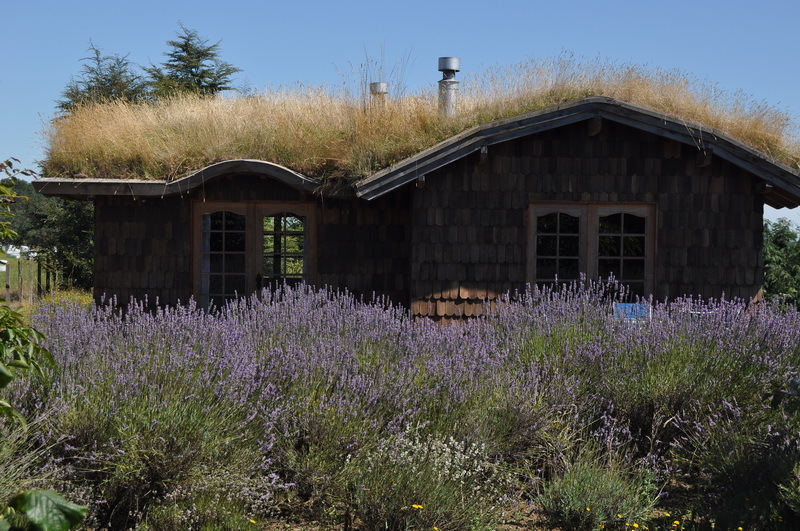 It is a wooden building covered with alerce shingles on the roof and walls. It is surrounded with sundecks and has beautiful views to the country side and the mountains. There are also two additional guesthouses with a total of 4 rooms, each with privat bath room, specially designed for lodging guests. 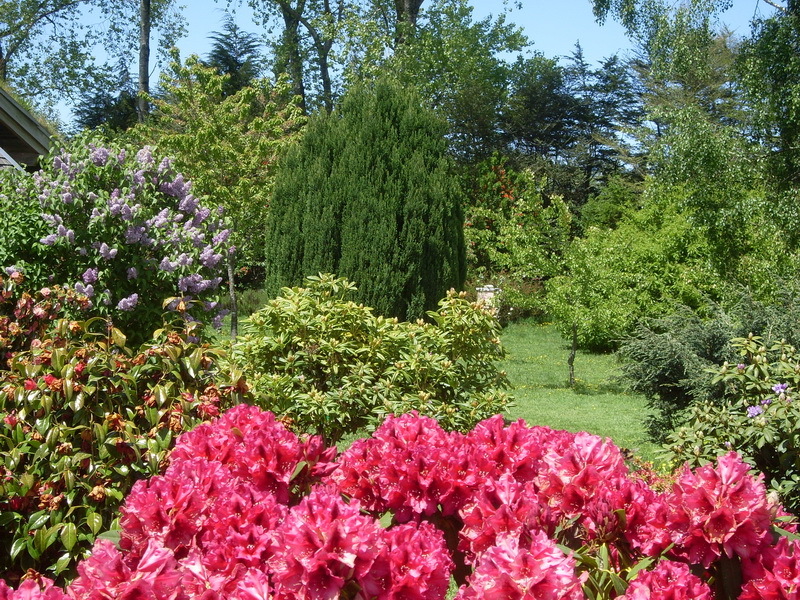 The Property has a total surface of 13.000 sqm with beautiful gardens and plants such as lavander, sage, rhododendron, azaleas, hydrangeas and a variety of fruit trees like appel, pear-, plum- and cherry trees as well as blueberry and raspberry bushes, further more are around 100 new native trees. 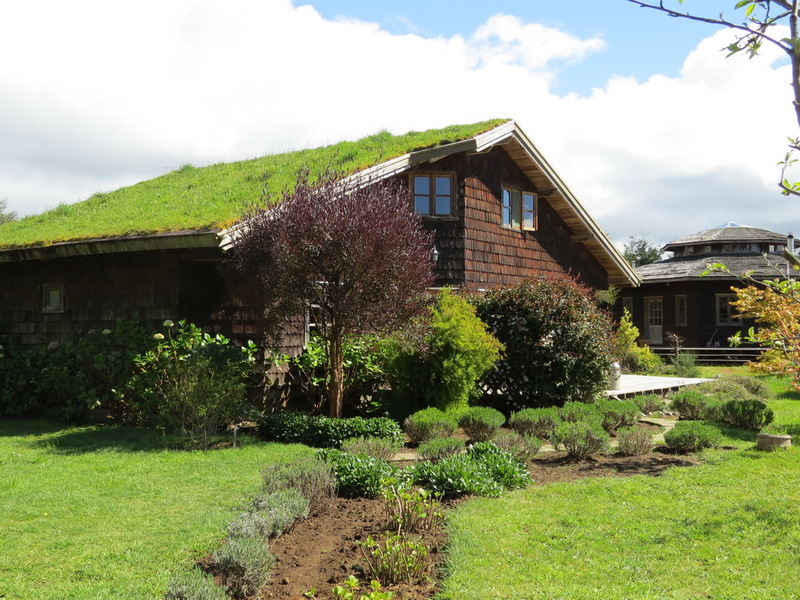 The property is situated in the heart of the chilean Lake district, in the country side 2.5kms of the picturesque town of Puerto Octay and Lake Llanquihue, the second largest of the lakes in Chile. It is almost between the two cities: Osorno (47 km) and Puerto Montt (75 km) on the paved road.